With this trip from Sète to Castellón de la Plana, we start our journey from the Mediterranean Sea to the Baltic Sea. We've got thousands of miles to go North, storms and doldrums, seas, oceans, narrow straits and artificial canals are ahead of us, as well as a variety of fascinating places and new experiences. Welcome to the crew! 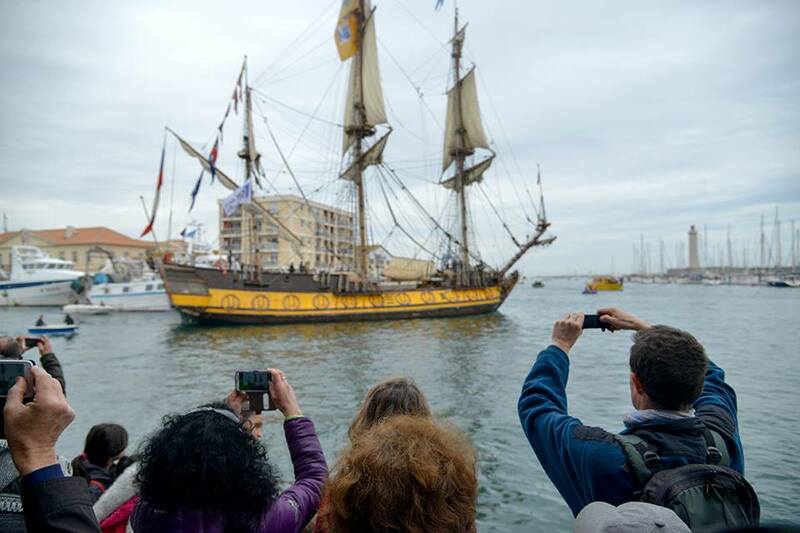 Festival in Sete «Escale à Sète» («stop by Sète» in French) is a huge tall ship festival featuring historical ships and boats. 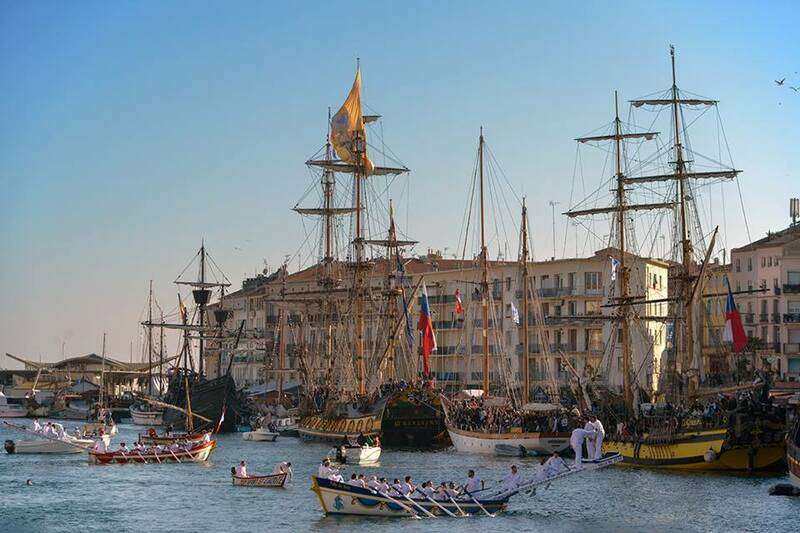 In 2018 there's a special program that includes celebrating the Gulf of Lion «gastronomic heritage» (meaning tuna), an exhibition of maritime paraphernalia from the largest maritime museums all along the coast, Barcelona to Genoa, 120 historical vessels including the largest tall ships, opening ceremony of the memorial bridge dedicated to French-American friendship and the end of World War I. French frigate L'Hermione will participate in this ceremony. South Spanish coast most likely will spoil us with warm Mediterranean sun and good weather. 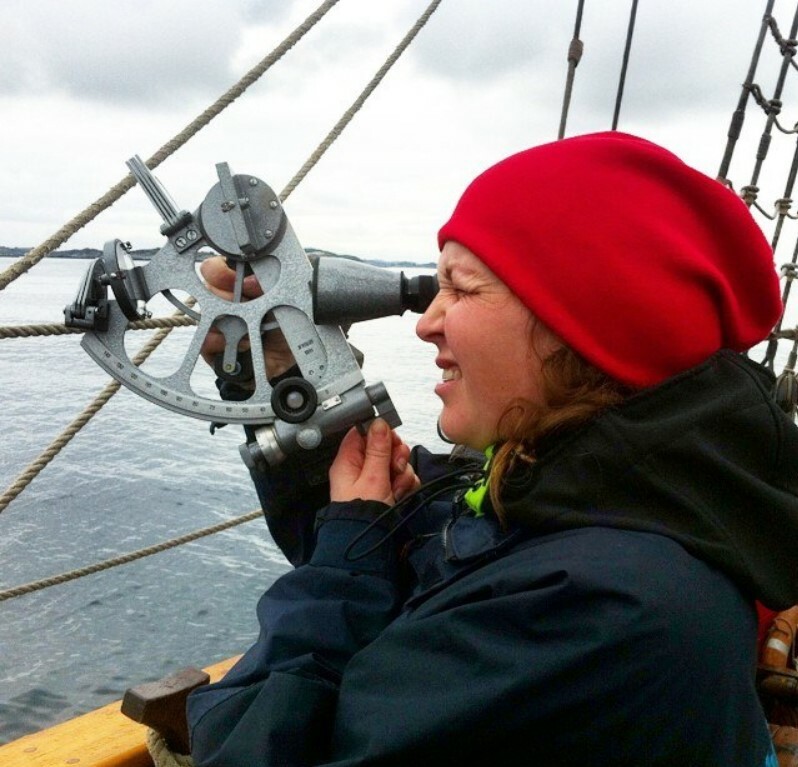 We'll be learning sail handling by day, but in the night we'd have a very special dish: celestial navigation basics. With a sextant and a watch, we'll determine the Shtandart's position, just like sailors returning from Southern seas in distant past. Sextant – a tool for measuring the angular distance between two visible objects, such as a celestial object and the horizon. Sailors use this tool to determine the geographic coordinates of the ship. The scale of the sextant is 1/6 of the whole circle, or 60 degrees. Hence the name. [In Latin «sextans» means one sixth]. A sextant has two mirrors. One of them moves in order to point to a celestial object, the other is stationary and semi-transparent. The latter is called the horizon mirror. Light from the celestial object hits the moving mirror and reflects towards the horizon mirror, which then shows both the object and the horizon. The angle of the moving mirror is then the angular height of the celestial object. Since the sextant measures the relative angle between the horizon and the celestial object, the measurement remains the same even if you are in a moving and rolling boat and thus is very reliable. 240 nautical miles South-West from festive Sète to sunny Castellón de la Plana. Watches behind the wheel, setting and striking the sails, one or more stops in the ports of call such as Roses or Palamos.